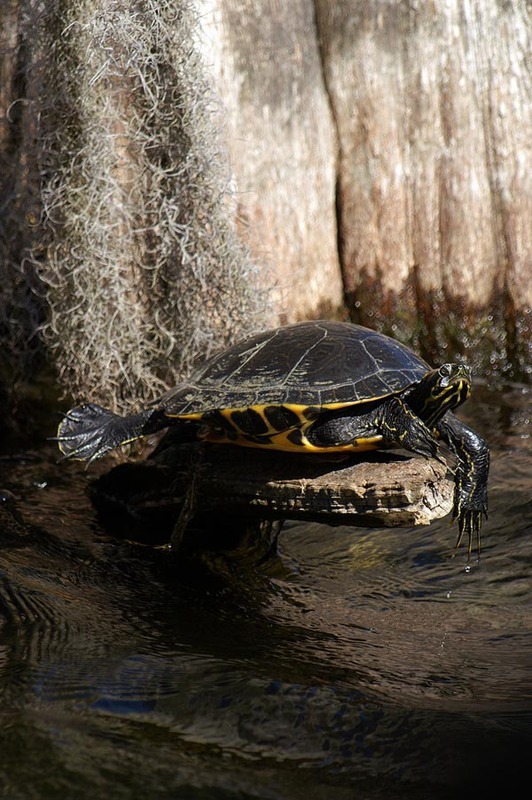 This turtle has found a marvelous sunning spot. Privacy plus a readily accessed escape route to the water if threatened. This entry was posted on Thursday, April 5th, 2012 at 5:16 pm. It is filed under Animals / Wildlife, Environment, Nature, New Images and tagged with repose, reptile, sunning, tree, turtle, water. You can follow any responses to this entry through the RSS 2.0 feed.